27843 W. Grass Lake Rd. 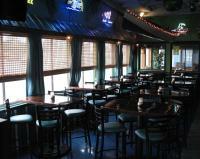 The Port Of Blarney is a full service restaurant, banquet hall, marina, and RV park. With 8 acres of shore-front property we are also the home to the Blarney Island shuttle boat service. 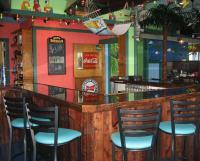 The Port Of Blarney has been completely updated to include our new Key West Room and a beautiful waterfront patio and tiki bar. Our banquet room is also home to many special events including birthday parties, graduation parties, reunions, retirement parties, wedding receptions and rehearsal dinners, business luncheons, funeral luncheons and more. 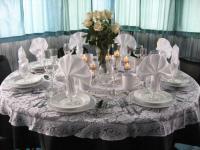 We can accommodate events for up to 175 people. The Port of Blarney provides live entertainment every Saturday and Sunday, so don't miss out on some of the area's best live musical acts! We have shuttle service to and from Blarney Island where you will find the hottest musical acts, servers and bartenders ready to get you an ice cold drink and welcome you to ?The GREATEST Boating Bar in The World.? The Port of Blarney maintains over 8 acres of RV Park that is the seasonal home to 40 RVs and mobile homes. Our marina has 84 private seasonal slips and 20 public slips for Port of Blarney restaurant parking. Friday Night Fish Fry - Best in Lake County!